Taking action against the rebels who have chosen to remain in the poll fray as Independents despite the party's efforts to cajole them to withdraw, the BJP has suspended as many as 17 such rebels for six years. As BJP expelled 17 rebels for fighting against the party's official nominees in Uttarakhand polls, state party chief Ajay Bhatt has described them as"over-ambitious people" and said their exit will not impact the saffron party's prospects in the assembly election. 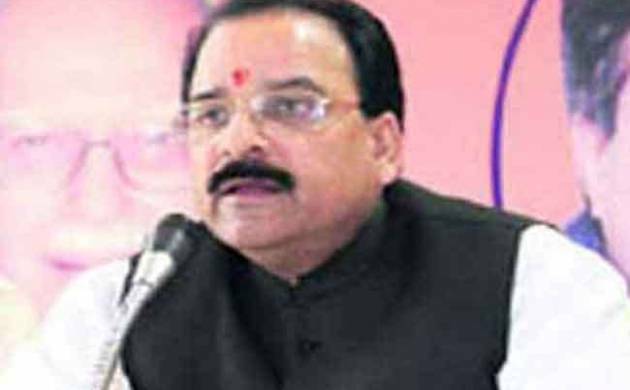 He downplayed claims of discontent among party leaders over allocation of tickets to Congress rebels who joined theBJP and asserted that "Modi wave" will be one of the important factors in the polls in Uttarakhand where the party is fighting the election on development agenda. "BJP is a party of principles and its activists work with loyalty. Those who were over-ambitious have rebelled and are fighting against the party. There won't be any effect on the party with the exit of such over-ambitious people," Bhatt told PTI. On the other hand, over a dozen prominent Congress faces have rebelled and joined the BJP which has fielded formerCongressmen from 13 seats in the election to 70-memberassembly in Uttarakhand on February 15. "These people left Congress as they were feeling suffocated in the party due to anti-people policies of Harish Rawat government and central leadership of the party. They were also feeling that only Modiji and BJP can deliver development to Uttarakhand. That's why they left Congress, "the state BJP president claimed. Pointing out the reason for not projecting any chief ministerial face ahead of the polls in the state, Bhatt said political strategy changes from time to time depending on the circumstances and the party has opted for collective leadership for the polls in Uttarakhand. "BJP sometimes projects a face and sometime we do not and work under a collective leadership. We have examples of both types. In Haryana, we did not project any face and results were favourable. "This time party has not projected any face inUttarakhand and we have adopted the strategy of collective leadership. On the other hand, we have our Prime MinisterNarendra Modi who is a great leader and has no parallel. He covers all faces," he said. "The first reason is the desire of common man for development. Now, they have understood that BJP is the only political party which can deliver. Simultaneously people have faith in the leadership of Modiji. "Also, people are now fed up with Congress and its leadership. Corruption of Congress government and involvement of Chief Minister Harish Rawat has been exposed and now people of Uttarakhand has decided to get rid off Congress," he claimed.